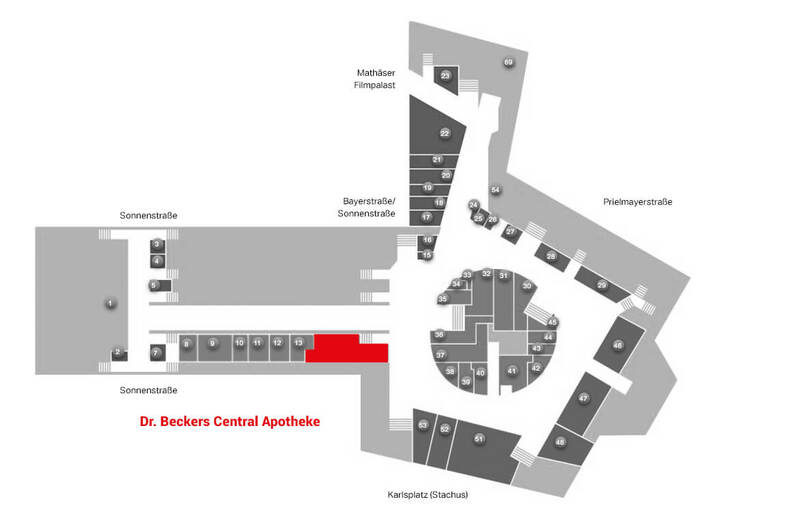 Dr. Beckers Central Apotheke and its team are always there for you. Please visit us directly at the Stachus passages. Of course, you can also send a message or call us any time. Whichever way you chose: We are looking forward to meeting you. We are looking foward to your message!